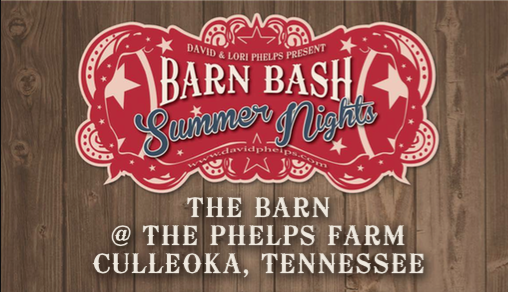 Fulfilling a dream of bringing amazing music to their corner of the South, David and Lori Phelps are proud to announce the 1st annual Barn Bash Summer Nights Concert Series! With its downbeat in the Summer of 2017, this exciting new series will be held the first Saturday of June, July and August. 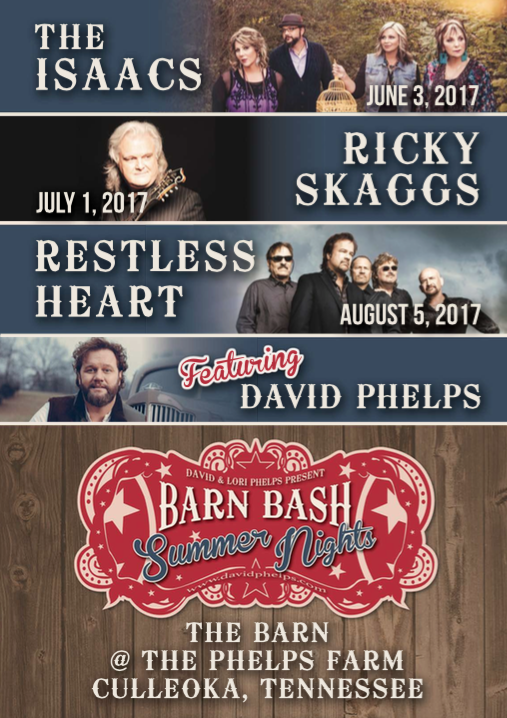 David and Lori will be hosting a line-up of world-class artists including The Isaacs, Ricky Skaggs, and Restless Heart with more gifted artists to come in the future! Nestled in the foothills of the Smokey Mountains, this 100 year old renovated barn has hosted our Barn Bash Events for many years. Spend time with friends, old and new and enjoy a beautiful Tennessee summer night filled with great music! We hope to see you there!